I just finished watching all of Win... They've been through a lot and I hope to see more of them in the future!!! Have you seen Winner TV episode 1? Though it is still raw/unsubbed, the boys are real funny! Hi Thanks for creating this thread. Finally a WINNER thread. I've been waiting for this thread ever since they won. I'm looking forward to the 2nd episode of WINNER TV and their debut. Finally! 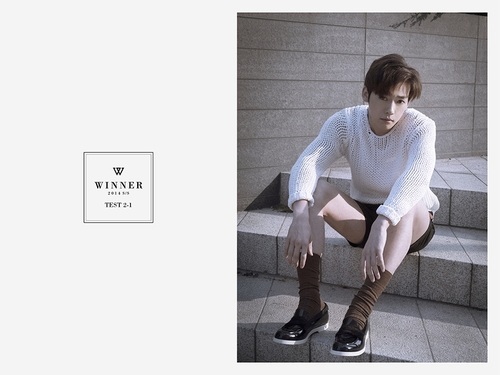 A winner page Can someone tell me how many episodes winner tv will have? Thanks! Can someone tell me how many episodes winner tv will have? Thanks! From what I know, it will only be 10 episodes. I'm so glad to see a topic of these guys. I love them very much!!!! If you want something of them with subs just go to onewomansubs blog's . I can't wait for their debut on February. I hope this thread will surpass 1000000000000 pages in the future Winner saranghae! It will definitely surpass. We just have to wait for their debut so that they can gain more fans. From what I've heard those people who are not a fan became a fan when they watched WINNER TV and got positive feedbacks. last night i watched Winner TV ep 6 and have listened member's own composed songs. I really love them all. Song Mino, Kang Seungyoon and Nam Taehyun are so good in making great music. especially taehyun, i'm so crazy over his song 'Tonight' indeed nice song guys. how to be patient to wait their album release???? such a torturing..
@anitabi: just want to congratulate u on your great taste! I love TOP, Shinhwa & Nam Tae Hyeon too!! who's your fav in Shinhwa? For me it's Eric and JJ! @sryche - tks for starting this thread. I only wish that someone would do a profile on the 5 boys. Dying to know more about them! buzzzz said: @anitabi: just want to congratulate u on your great taste! I love TOP, Shinhwa & Nam Tae Hyeon too!! who's your fav in Shinhwa? For me it's Eric and JJ!